REDMOND, Wash. & MINNEAPOLIS--(BUSINESS WIRE)-- Nintendo and retail partner Best Buy are collaborating to give Nintendo 3DS™ owners customized, automatic wireless access at some 1,000 select Best Buy store locations nationwide beginning June 7. Once connected, the service will provide access to a variety of fun content via the system’s built-in Wi-Fi functionality, including the new SpotPass™ feature. The Best Buy service will also include exclusive offers as well as additional entertainment content such as gaming extras and movie trailers. Nintendo 3DS, which lets people see 3D visuals without the need for special glasses, launched March 27 at a suggested retail price of $249.99. Remember that Nintendo 3DS features parental controls that let adults manage the content their children can access. 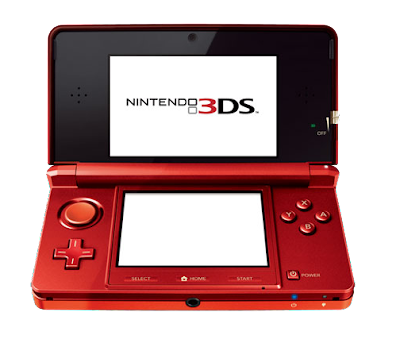 For more information about this and other features, visit http://www.nintendo3ds.com. Just how much exclusive content will be available and will it be worth it just to take a trip to Best Buy for this? One thing is for sure, I can't wait for June 7th and it's not just because of the long awaited update.